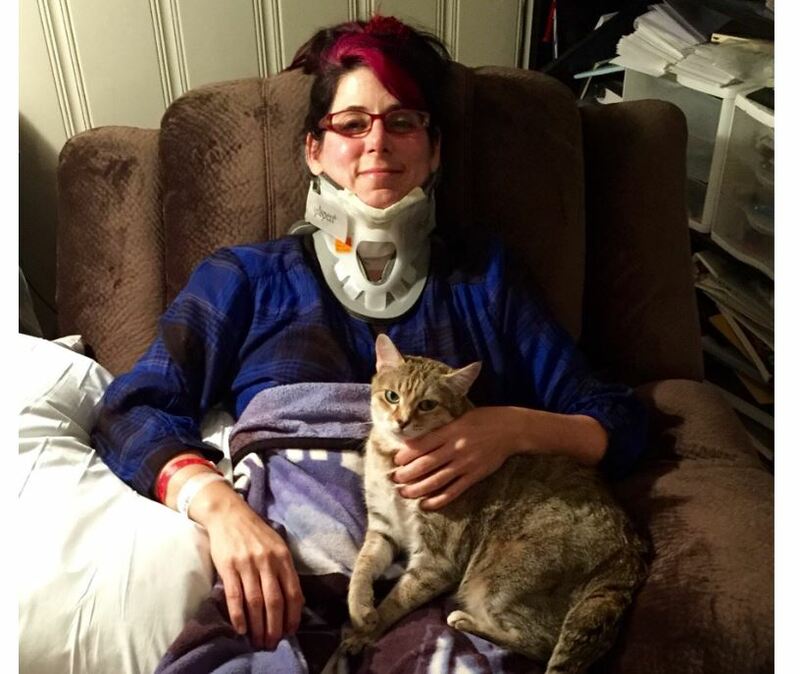 A woman from Virginia who had spinal fusion surgery says her cat – who is right by her side – is the best nurse ever. Penguinz90 notes that cat purrs are thought to help relax you and heal you faster. She will have to wear the brace for 6 weeks. You can read the complete comment thread and upvote the post at Reddit HERE.